Looking for one of the more secluded lakes in NorCal that you can reach on your freedom machine? We got you. 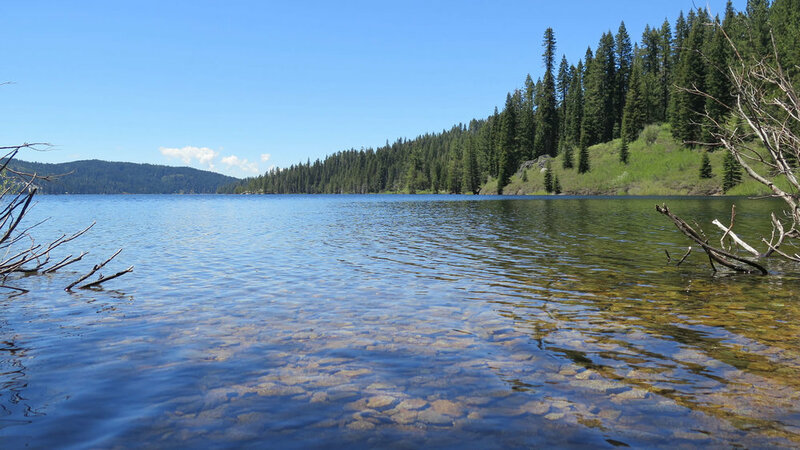 Bucks Lake sits at 5,167ft and is located West-Southwest from the sleepy town of Quincy, CA. It offers fishing, swimming, a couple watering holes and one of the calmest envirmonments in the Sierras. As of this post, The Bucks Lake Route is an out and back due to road closures on the Oroville-Quincy Hwy. We're not big fans of out and backs, but these roads are plenty good to hit twice in one day. To get going on your ride, you have 2 options. The easy one is to take I-80E for about 20 miles down into Truckee. That's not a terrible pull, but if you want to retrace the steps of the Donner Party, we suggest hitting Donner Pass Road and crossing over Donner Summit Bridge on the way. Once you get into Truckee, head north on HWY 89. Fuel up in Sierraville before hooking a left to continue on the 89/49. When you are down the road a ways, keep in eye out for the right you will need to make on 89N. If you don't you'll end up on the 49 which will eventually take you on the Sierra City route. Not a bad way to go, but you'll never see the bounty of Bucks Lake if you make that mistake. One more left onto the 70W/89N and you'll be well on your way to the town of Quincy and then on the climb up to Bucks Lake. Once you get to Quincy, just follow the signs to get off the 70/89 and then continue onto the climb up to Bucks Lake. The ride to this point won't be all that technical, but the last 3 miles up to Bucks Lake is a grade of +/- 15%. Take your time if you need to or get your 2 wheel freak on. It's your call. The pristine waters of Bucks Lake are prime for taking a dip, fishing (if you got the time and equipment) or just taking a nap in the pine trees all along the shore. Bucks Lakeshore Resort is a good spot to grab a bite or a frosty beverage before starting your ride back to the campground. Once you are satiated, turn around and head back the way you came. We suggest stopping in the town of Graeagle for a sweet treat. There's tons of candy shops and icecream stops for you to choose from.